Taking the Mickey out of Margate? Margate landmark Arlington House draws mixed reactions from people. Some of them negative because it looks so boarded up and miserable. As I hit the road on the bike for work in the mornings, the sun often glimmers off its offset windows and there’s a shimmer of burnished gold in my eyes as I head out of town. It’s a brutalist behemoth but I’ve grown to love it. Inside, it’s an amazing place, with fantastic views, spacious and well laid-out flats. Many (over 30 of them I believe) are empty. And round its fringes it’s a gloomy, boarded-up shambles. There is no good reason for this whatsoever. Nor any for the fact that its 500-space carpark, with its prime location for summer visitors to the town, is locked up by the leaseholders. 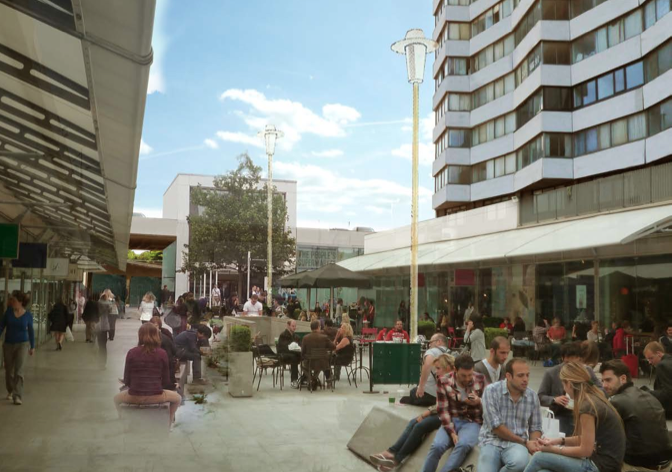 London landlord giants Freshwater are taking the mickey out of Margate. They pay the council, which owns the site, just ₤7,500 per year. And they are in breach of their contract by keeping the shops boarded up and carpark closed. Whether you approved or not, or were simply ambivalent about plans for a giant Tesco superstore there, Tesco have pulled out amid changing business priorities. 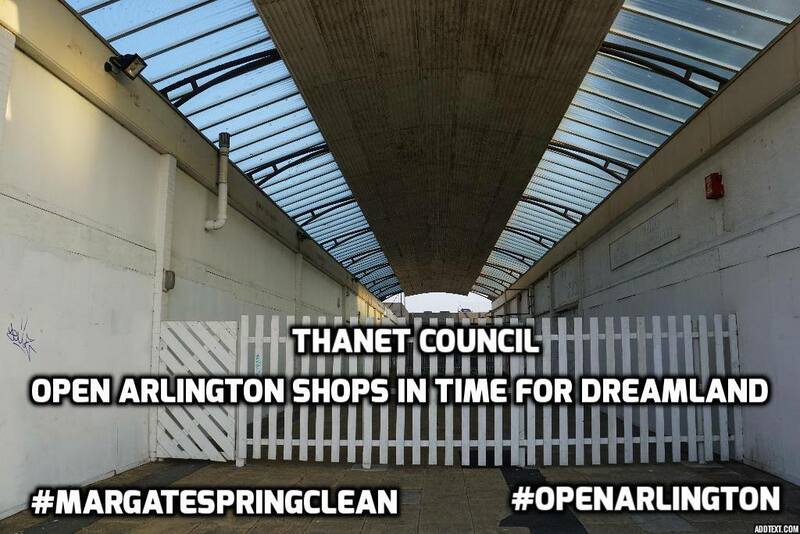 Now it’s high time the council enforced the terms of its lease, made sure the shops were available (there may not be a market for them, but there may well be, with Dreamland opening) and opened the car park in time for summer. With a long social housing waiting list in Thanet and the council intent on demolishing a historic seafront hotel to spend a million quid on council houses, the fact that so many Arlington flats are empty is a disgrace. How can the council accept this from the leaseholders? One Margate resident, RIBA architect Sam Causer has put forward this thoughtful alternative. I believe this would be well worth exploring further and if elected I’d be pushing Freshwater hard to do so.